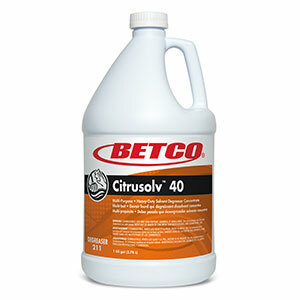 A neutral cleaner to rival the power of an alkaline, butyl degreaser. Synergistic blend of propylene based solvents combined with state of the art surfactants produces a combination that will make traditional hard surface cleaners obsolete. 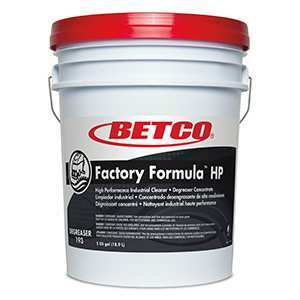 This versatile, dilutable dynamo quickly and effectively removes inks, oils, greases and fats from a variety of surfaces. Dilute with water for general cleaning. 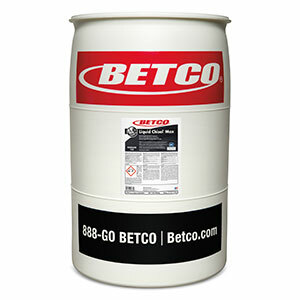 This degreaser is for use in schools, factories, kitchens, and food service. Not for use in food-preparation or food-contact areas. 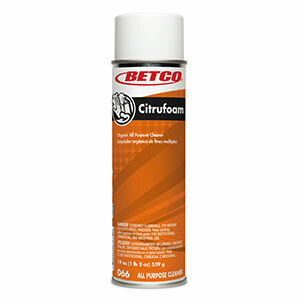 Particularly effective at removing ink, marker and crayon graffiti from desks, countertops and other washable surfaces. FOR DISPENSING SYSTEM: Place product so that it will dispense diluted product at the dilutions listed below. LIGHT SOIL: Dilute 2 oz./gal. or 16 mL/L (1:64) with water. MODERATE SOIL: Dilute 4 - 5 oz./gal. or 31.25 - 38.5 mL/L (1:32 - 1:26) with water. 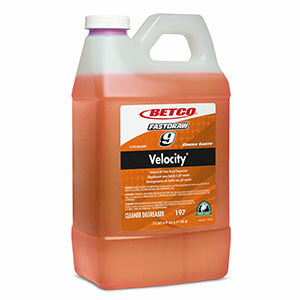 HEAVY SOIL: Dilute 8.5 oz./gal. or 66.7 mL/L (1:15) with water. 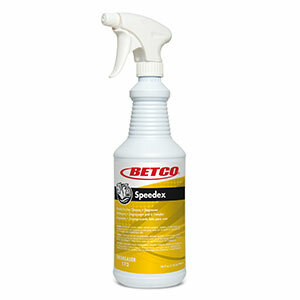 FOR USE WITH TRIGGER SPRAY BOTTLE: Spray properly diluted product to soiled areas and wipe with a clean cloth. FOR USE WITH MOP BUCKETS: Fill mop bucket with properly diluted product as indicated by the soil levels and the dilution table above. Apply properly diluted product to the floor, let set 3 - 5 minutes. Pick up with tightly rung mop or wet/dry vacuum. 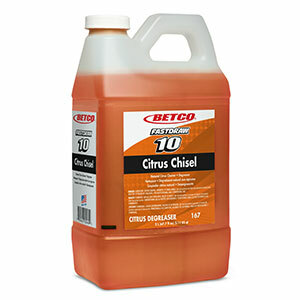 FOR USE IN AN AUTOMATIC SCRUBBER: Fill solution tank with properly diluted mixture of product. For heavy soils, use double scrub method of cleaning. For porous or grouted floors, scrub brushes may improve the removal of surface soils. Please consult your local solid waste agency, drain commissioner, or water quality contact for determination on appropriate disposal of unused material. Please recycle empty containers.